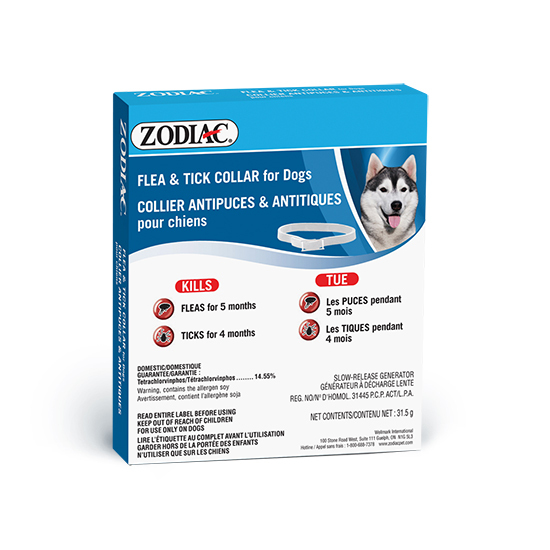 Zodiac® Flea & Tick Collars offer excellent protection against adult fleas and ticks and provide long term continuing protection. We recommend using a Zodiac® Flea & Tick Collar if your pet is frequently bathed. Collars continually release a new supply of ingredients for several months, replenishing the coat even if your pet gets wet or is bathed.